UPDATE !!! 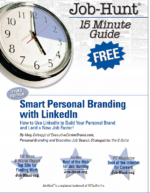 — For updated information on using LinkedIn for personal branding and executive job search, go to my 3-part series, starting here How to Use the New LinkedIn for Executive Personal Branding. 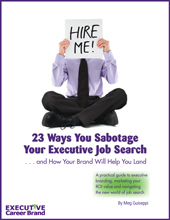 You have a “brand” new executive resume aligning your unique set of qualifications with the needs of your well-researched target employers, and differentiating your value proposition (or personal brand) from your competitors in the job market. 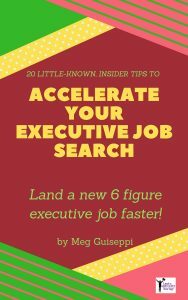 A great executive resume is not enough any more to land your next great gig. You’ll need a strong, on-brand online presence so executive recruiters and hiring decision makers, searching for and assessing candidates like you, will find plenty of diverse information about you. Many savvy executives competing for the jobs you want have already embraced all that LinkedIn has to offer. Even if you don’t use all of LinkedIn’s features, you should have a great profile there, just to keep pace with your competition. Executive recruiters and other hiring authorities routinely search LinkedIn for viable candidates, and even have special applications designed for that purpose. If they don’t find you on LinkedIn, they may not find you at all. And if they do find you elsewhere, they may wonder why you’re not on LinkedIn. They may wonder whether you’re up-to-date and social media-savvy. 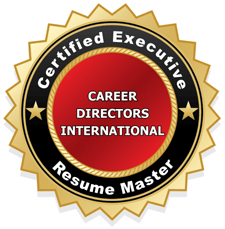 Extend the value of your branded executive resume. Transform it into a winning LinkedIn profile. Merely throwing together your LinkedIn profile without strategizing its impact on your target audience may render it ineffectual or even be a detriment to you. Your LinkedIn profile needs to be 100% complete (according to LinkedIn’s latest set of criteria and contain all the right keywords and phrases, positioned in the right way so that your profile lands high in search results for those keywords, when the right people are searching for candidates like you. With some editing and juggling, everything in your branded executive resume, plus some extras, can be used in appropriate sections of your LinkedIn profile. Pump it up with the relevant key words your target audience will be searching for. You can pack quite a punch with the 120 characters allowed. The first example is the default headline LinkedIn will give you, based on the information you’ve completed for your most recent job, if you make no changes. Choose your photo wisely. This is the first thing people are likely to see when they open your LinkedIn profile. Go with an appealing photo that strikes the right image and professional tone for your industry and niche. Use the same photo everywhere else online, so people can easily identify you. 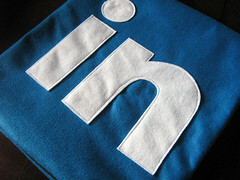 Why is it important to include a photo in your LinkedIn profile? Branding is about creating emotional connections. People believe content more when it’s accompanied by the author’s photo. An LinkedIn profile with no photo is a missed opportunity to reinforce your brand and engage people. You’ll see the query “post an update”, just below your headline and photo. Your entire network, which in time should become large, will be notified via email whenever you (or anyone else in their network) post an update or make any changes to your profile. Regularly posting updates or making changes (say, every week or at least a few times a month) keeps you and your brand top of mind with your network. Updates also represent another opportunity to brand your profile with relevant key words. Include a link to more about the update, if possible. Keep building up brand and value-reinforcing LinkedIn recommendations within each job you’ve held. Nothing speaks to your unique value proposition better than what others who know your work best have to say about you. 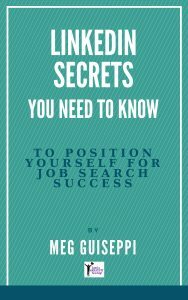 If they’re amenable, it’s okay to help them write a brief paragraph or two by providing them a little information about the kinds of positions you’re seeking, so that they can align what they write with what you know your target employers are looking for. Opinions differ on whether it’s more important to amass a lot of connections or concentrate on building quality connections. That’s up to you, but doesn’t it make sense to surround yourself with people you actually know (at least somewhat) and with whom you can build mutually helpful relationships? Include links to up to 3 web pages. If you don’t have a blog or website, this is a great place to put a link to your online career portfolio, any notable press about you, a white paper you published online, etc. If you’re on Twitter or Facebook, and participating in a professional manner, include a link to your profile(s). The idea is to lead people to more brand-reinforcing information about you. If you have a common name or one that’s already taken, you’ll have to play around with this. Include your middle initial, or just use your first initial, or first and middle initials. Also see if the URL for “yournametitle” is available, such as “tomsmithcfo”. Select and complete relevant sections (by clicking on the link “Add sections”) – Certifications, Courses, Honors and Awards, Languages, etc. Pay particular attention to the “Skills & Expertise” option. You are allowed to add 50 phrases here. These are your all-important keyword phrases, highlighted all together in one place. Note that these, and all the other sections that follow (Summary, Experience, etc.) can be moved around on your profile at any time. It’s better not to just copy and paste the top part of your resume (or professional summary) here. Change up the content a little, but make sure the thrust is the same. Let people know right away what differentiates you from your competition. You’re allowed 2,000 characters in this section. Try your best to use them all. More content = more relevant keywords = better potential for being found. Cut and paste appropriate information from your resume for both sections. Remember to lead your achievement statements with the WOW result first and surround each with white space for better visual impact. Under “Experience”, you’ll probably have room for more achievements and contributions than you did in your resume. 2,000 characters are allowed here. Use them all, if you can. I feel it’s important to fill in the “Interests” section, to create personal touchpoints. This could be information you developed in your career brand biography. Highlight your commitment to community and interesting hobbies or pastimes. Tell a story about one of your passions. The companies you’re targeting are interested in your whole brand picture. Chemistry and good fit are very important to them. Slices of your personal pursuits can give them an idea of what kind of person you are and whether you’ll fit their corporate culture. Also fill in relevant Groups and Associations, and Honors and Awards. A very powerful LinkedIn feature, Groups help you uncover new networking opportunities, reconnect with your neglected network, demonstrate your subject matter expertise, connect with people at your target companies, and potentially land your next job or business opportunity. Read more about executive branding and LinkedIn Groups. If you’re actively job seeking, it’s a good idea to fill in your cell number and/or IM. I don’t think it’s wise, for your own security, to include your home phone, physical address, birthday or marital status here or anywhere online. Again, if you’re actively job seeking, or building business, select the appropriate contact preferences. Look at the menu at the top of your profile, and click on “More”. You’ll see various applications listed in the drop-down menu, that may apply to you. You can post your resume and bio documents on your LinkedIn profile using the Box.net Files application. The documents will be there for people to easily access when they’re assessing your fit for their needs. Pay attention to all that lands “above the fold” in your profile – whatever is on the screen when you open your profile. This is what people will see first, and can make or break your chances to be considered. Capture their attention and make them want to scroll down to read your entire profile. Like the way there are c – levek cv writers and resume builders. Any idea if there are companies who specialise to optimise Linkedin profiles for C level candiadtes – for a better Brand Me. Thanks for your inquiry. I help c-level executives brand and create LinkedIn profiles that help them gain the interest of executive recruiters and hiring decision makers to land their next great gig. It also helps to make a portfolio of your work especially if you are in any type of creative job. I have used numerous portfolio making websites and all of them seemed unprofessional or not quite right. Weebly is probably the best I have used- it looks like a professional website and you have control over everything. Putting your website on linkedin will help recruiters or other professionals see your work easily and they will know you are prepared with showcasing what you have to offer! Especially if you’re in an artistic field, or have writing samples to view, including your portfolio will help provide supporting evidence for your brand. Yes Meg your idea makes sense and I will try it out. Thanks again. I’m a freelance graphic designer and my work is done on limited contract basis. Based on your knowledge of “profile findability” through Linkedin search which section is better to list my work under “Experience” or “Projects”? Thanks for the response. Keep up the good work. Without knowing the specifics of your situation, it’s hard to make a firm recommendation. But it may be a good idea to include your work in both the “Experience” and “Projects” sections. That is, flesh out each project with details within the Projects section, and also include a basic list of each one under Experience. I would like to Thank You for the efforts you have taken to improve others profile on linkedin. I must say few of the lines you have mentioned are very important, and i’m thinking of editing my profile. Thank you for your kind thoughts, Moen. I’m so glad my suggestions have prompted you to rethink and edit your LinkedIn profile. Hoping the changes get you more action on LI!